August 20, 2014 Events Comments are disabled after 182 days. A contestant on Lifetime TV’s “Project Runway” fashion-design series will be a presenter at this year’s Wildcat Comic Con at Pennsylvania College of Technology, as well as a judge for the event’s popular cosplay competition. Pamela Ptak, a designer on Season 7 of the show, will join her husband, Marvel and DC Comics artist Scott Hanna, at the “con,” to be held from 8 a.m. to 5 p.m. Saturday, Sept. 27. The pair run the Arts and Fashion Institute in Riegelsville and regularly accompany each other to conventions across the country. “Cosplay is when you dress up as a character from comics, anime, video games or any related genre,” explained Tracey Amey, director of the college’s Madigan Library. “You travel to conventions, and sometimes – as at this year’s Wildcat Comic Con – you can compete in contests. Some people purchase their costumes, but others find, as they meet other cosplayers and learn how they made their own, that they want to try it. To fuel that creativity, Ptak will host a cosplay design workshop during the event – the third to be held at the college’s main campus in Williamsport. … and in the persona of Harley Quinn from the “Arkham Asylum” video game. The cosplay contests are an opportunity for participants to show off their hard work and craftsmanship while posing in character for an audience. All graphic novel, manga, anime, video game, science fiction, steam punk and related genres will be allowed. The field will be open to the first 85 adults (age 13 and older) and 50 children (12 and under) who register on-site. The adult contest will be held during closing ceremonies, between 4-5 p.m. in the Klump Academic Center Auditorium. The children’s competition will be at 2 p.m. in Penn’s Inn, on the second floor of the Bush Campus Center. Thanks to a sponsorship from Janway, cash prizes will be awarded to the winners in each. More details, including complete rules and contest guidelines, are available at the WCC cosplay page. Visit the Wildcat Comic Con website for more about programming and presenters, the vendor and Artist Alley area, and other attractions. 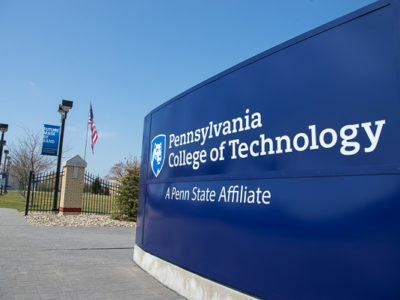 For information about Penn College, which is observing its Centennial throughout 2014, email the Admissions Office or call toll-free 800-367-9222. “Wildcat Comic Con” returns Sept. 27.